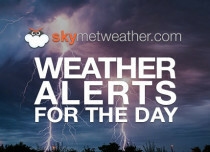 The state of Uttar Pradesh was lashed by pre-Monsoon rain and thunderstorm activity as predicted by Skymet Weather during the past day. 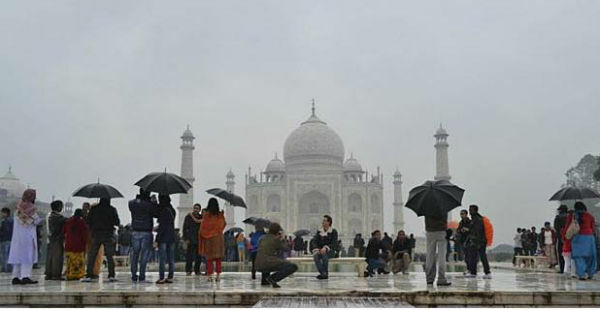 In the last 24 hours from 8:30 am on Wednesday, Agra recorded heavy rain to the tune of 48 mm, Banda 37 mm and Gorakhpur 21 mm. In the same time frame, Fursatganj recorded 15 mm of rains, Varanasi 13 mm, Kanpur 7 mm, Bahraich, Aligarh 5 mm respectively and Bareilly and Lucknow 2 mm of rains. 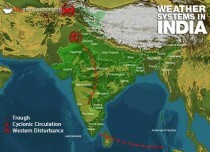 A cyclonic circulation was over North Rajasthan and adjoining Haryana and Punjab. A trough was extending from this system up to Bihar across Uttar Pradesh. Due to these combined weather systems, thunderclouds developed over Rajasthan and adjoining regions and travelled towards Uttar Pradesh along the trough line. Moreover, the day temperatures were also high and thus plenty of moisture was available. Therefore, thunderclouds kept on generating right from West Uttar Pradesh to East Uttar Pradesh causing widespread rain, thundershower and lightning strikes. These thunderclouds were accompanied by strong gusty winds in the order of 60 to 70 kmph gusting to 90 kmph. In fact, isolated pockets of Agra and adjoining regions even witnessed winds gusting to 100 kmph. These pre Monsoon activities led to tremendous damage to life and property. As per media reports, 40 to 50 people have lost their lives in the event. As per weathermen, the trough extending across Uttar Pradesh is still persisting. 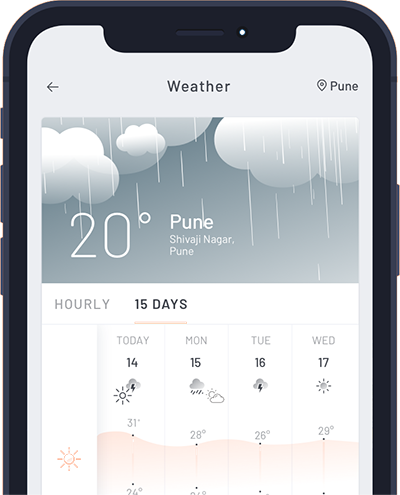 Thus, rain and thundershower activity is likely to continue over many districts of the state during the 24 next hours. Districts such as Mathura, Agra, Gorakhpur, Lucknow, Kanpur, Varanasi, and Aligarh will continue to record pre Monsoon rains. However, the intensity of showers will be less than yesterday as the day temperatures have dropped due to which the moisture content has reduced. After 24 hours, the weather is expected to start clearing up over Uttar Pradesh. In wake of this the day temperatures will rise once again.